When I saw this collection online there were several polishes in this collection I knew I had to have. But because I HATE paying full price for any OPI I wait till I find them on sale. I picked this polish up from my local grocery stores clearance bin while everyone else still had them at full price. Score! 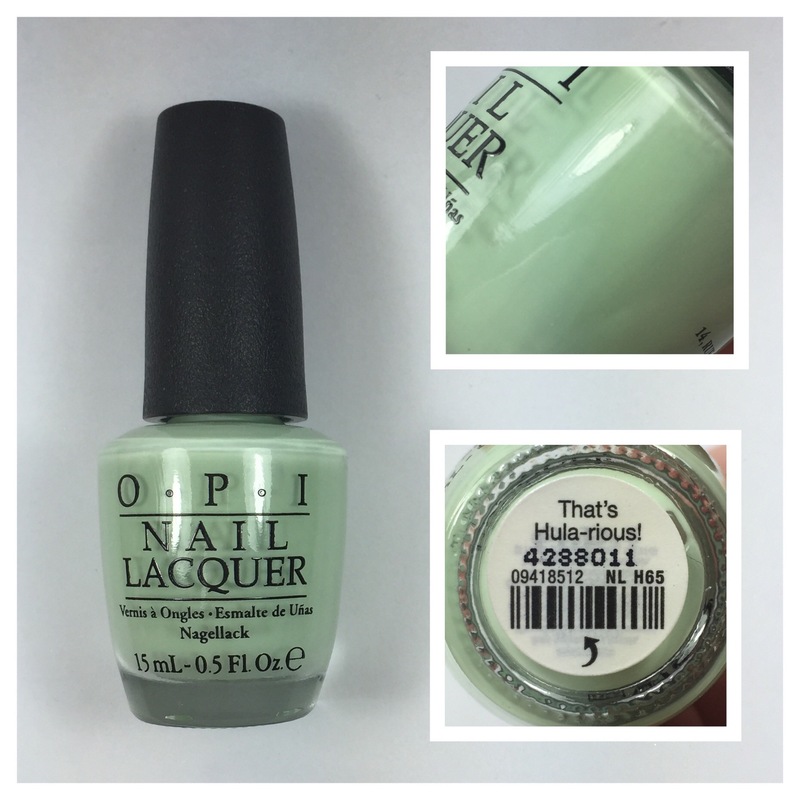 OPI That’s Hula-rious! is a mint green creme with a fantastic formula. I said a little prayer to the polish gods as this polish was shaking up in hopes that it would apply smoothly. My prayer was answered and this polish went on like a dream. No streaking. No pulling. It was perfect. I applied two coats and topped with Glisten & Glows HK Girl. This is a great color for spring as well as St. Patty’s week. If you come across this polish at a good price I would suggest picking it up.